Staff photo by Travis Rosenau Six senior athletes were named Outstanding Senior Athletes at the 65th Annual New Ulm Club Banquet on Saturday at Martin Luther College. Front row from left: Lauryn Franta (New Ulm Cathedral), Joey Batt (NUHS), Hannah Marzinske (MVL). Back row from left: Erich Martens (Guest Speaker), Alex Hillesheim (New Ulm Cathedral), Sean Howk (NUHS), Jake Kettner (MVL). NEW ULM — The New Ulm Club’s 65th annual Athletic Appreciation Banquet took place on Saturday at Martin Luther College, with six student-athletes being honored as their schools’ Outstanding Senior Athletes. 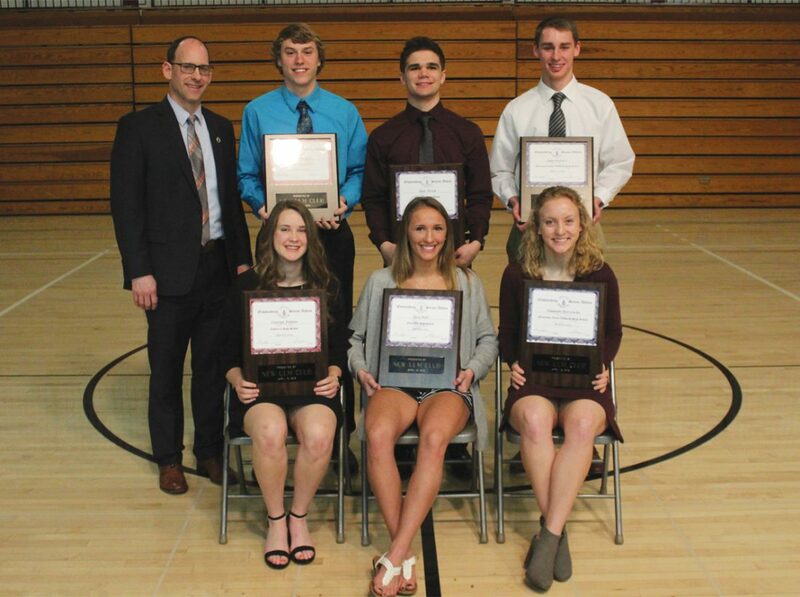 The New Ulm Club honors senior letterwinners from each New Ulm High School, Minnesota Valley Lutheran and New Ulm Cathedral each year, awarding the top male and female athletes from each school with an Outstanding Senior Athlete title and plaque. The guest speaker this year was Erich Martens, Minnesota State High School League Executive Director. Earning the awards were New Ulm High School’s Joey Batt and Sean Howk, Minnesota Valley Lutheran’s Hannah Marzinske and Jake Kettner and New Ulm Cathedral’s Lauryn Franta and Alex Hillesheim. Joey Batt is the daughter of Laura and Brian Batt. She is a two-sport athlete who has participated in basketball and softball and formerly track and field. She has earned five letters in basketball, two letters in softball, and two letters in track and field, giving her a total of nine letters in her high school career. She will get her 10th after the softball season. In basketball, she is a 3-time all-conference, one time honorable mention performer and this season was the Journal Player of the Year. In the Summer AAU Basketball season, Batt was also the Prep Girls’ Hoops Minnesota AAU Player of the Year for 2018. 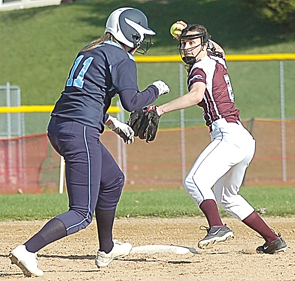 In softball, she was all-conference and two-time All-Journal. 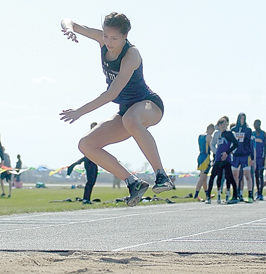 As Track and Field athlete, she was also a two-time all-conference performer in the long jump. As a senior, she averaged 26.4 ppg, 3.3 rpg, 5.1 apg and 6.1 spg. She finishes her career with 2,301 points, 512 steals and 495 assists and leaves her mark as the all-time leading scorer in not only New Ulm High School’s history, but also for the City of New Ulm. Next year, Batt will be attending the Minnesota State University, Mankato on a basketball scholarship. Sean Howk is the son of Sheila and Michael Howk. He is a three-sport athlete who has participated in football, wrestling and track and field. He has earned four letters in football, six letters in wrestling, and four letters in track and field, giving him a total of 14 letters in his high school career. Howk was a two-way starter in football, playing anywhere and everywhere he was asked. As a senior, he rushed 128 times for 581 yards and one touchdown. On defense, he was second on the team in total tackles with 84. During the winter seasons, Howk turned his attention to wrestling. He finished his high school career with a 210-44 record with 70 pins and 430 takedowns. He was a five-time state entrant and finished his senior season with a third-place medal at the state individual tournament. His 210 career wins ranks him first all time in career wins at New Ulm High School. Next year, Howk will be continuing his academic career attending either St. Thomas for track and field or Minnesota State University, Mankato for wrestling. Hannah Marzinske is the daughter of Todd and Darci Marzinske. She is a three-sport athlete who has participated in volleyball, basketball, and track and field. She has earned three letters in volleyball, two in basketball, and four in track while maintaining a 3.96 GPA. Marzinske is also a member of the National Honor Society, has earned three Academic All-Conference awards in volleyball, three in basketball and three in track and field, as well as numerous Spotlight on Scholarship Awards. In volleyball, she was MVL’s most consistent server with the best serving percentage on the team of 98 percent, serving 337 for 344. She also set a new MVL record for career digs with 737 digs. In basketball, Marzinske, a three-year varsity defensive specialist, pulled down 156 rebounds and had multiple double-digit scoring games. In track and field, she was the 2018 Tomahawk Conference Female Track and Field Athlete of the Year. This team captain as a sophomore was a member of the state qualifying and school record holding 4×100 and 4×200 relay teams. She also set the school indoor triple jump record. Next year, she plans to attend Buena Vista University, where she will play volleyball and possibly run track and field. Jake Kettner is the son of Jody Hunstad and Kory Kettner. He has been a two-sport athlete most of his years at MVL, participating in football and basketball, and he’s added track and field to his portfolio this year. He has earned three letters in football and four letters in basketball. Kettner is a former three-time All-Journal Basketball player and All-Journal Football player and a three-time unanimous Tomahawk All-Conference Basketball Team member. He was also a semifinalist for the Mr. Basketball Award and semifinalist for basketball’s McDonald Award. For football, the senior captain and All-District Section player collected 47 receptions for 797 yards and 12 touchdowns. For his career, he caught 108 passes for 1,617 yards and 15 touchdowns. The 108 receptions and 1,617 receiving yards are both school records. Kettner also contributed on the defensive side of the ball with just under 100 tackles and a kickoff return for a touchdown. He finished in the top three in 10 individual receiving categories. For basketball, Kettner became the 19th Charger and the 12th male Charger to score 1,000 points this past season. He finished second overall in points with 1,821 career points, second in MVL boys’ career points as well as second in school career points. He owns the school record for most 3-pointers in a game with eight and is in the top 10 in five of the seven offensive scoring categories. He’s also fifth in defensive rebounds, 416, fifth in total rebounds, 572, second in steals with 275, sixth in blocks with 69 and fourth in assists with 389. This fall, Kettner will attend the University of Sioux Falls on a basketball scholarship where he will study business. Lauryn Franta is the daughter of Steve and Kyla Franta. She is a two-sport athlete who will earn seven letters during her high school career: three in basketball and four in softball. She was also a student manager for the volleyball team the last three years. Franta was a three-year letter winner in basketball. She was also a basketball team co-captain as a senior and has career totals of 487 points, 200 rebounds, 59 steals, and 48 assists. This spring, Lauryn will be playing her fourth softball season at the varsity level. Her career totals at the plate include a .409 batting average, 46 RBIs, 61 runs scored, 16 stolen bases and five career home runs. Franta was named to the Tomahawk All-Conference team her sophomore and junior season. She has been a big part of the Greyhounds winning conference titles the past three seasons and also played a pivotal role in the Greyhounds claiming the section championship last season. Alex Hillesheim is the son of Jon and Shannon Hillesheim. He is a three-sport athlete who will earn eight letters during his high school career: two in football, three in basketball, and three in baseball. He lettered in football his junior and senior year. In his football career, he accumulated 260 receiving yards on 17 catches and scored five touchdowns. Defensively, he finished with 122 career tackles, two interceptions and six sacks. He earned all-district honors as a senior for the Greyhounds. Hillesheim was also a three-year letter winner in basketball. He was also a basketball team co-captain as a senior and his career totals include 1,155 points (fourth in school history), 534 rebounds (seventh in school history), 200 assists and 155 steals. He earned Tomahawk All-Conference honorable mention honors his junior season, was a unanimous all-conference selection as a senior and was named to the All-Journal First Team this past season. 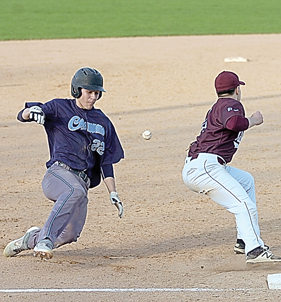 For baseball, he has already earned two varsity letters and will once again be counted on to contribute this spring. For his career, he is a .314 hitter with 21 RBIs, 37 runs scored, and 22 stolen bases. He earned all-conference honorable mention honors as a junior.